A piano keyboard or fretboard is set up with a particular mapping of pitch in mind. But the major advantage of any undifferentiated grid is the ability to work with scales. You can have any tuning and modes you like. 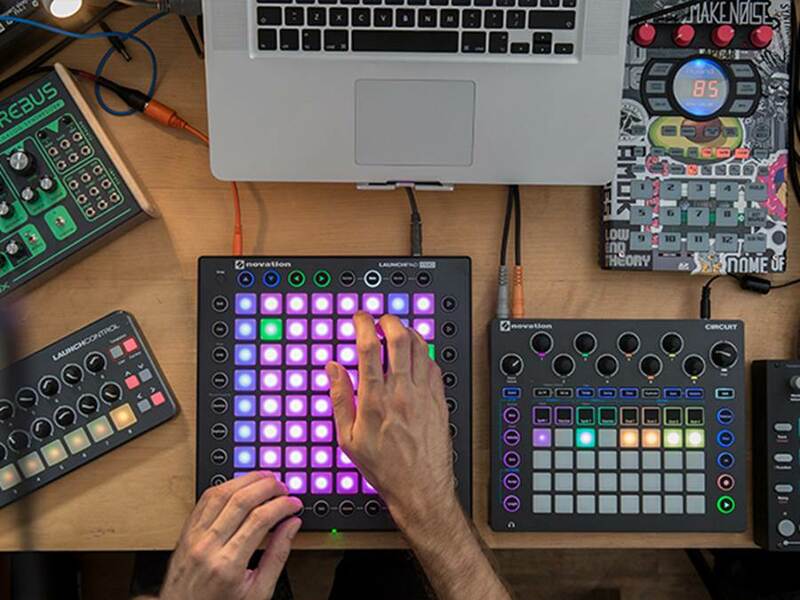 A new free update to Novation’s Launchpad Pro adds that functionality to their grid controller – and that transforms how you’d use it musically. 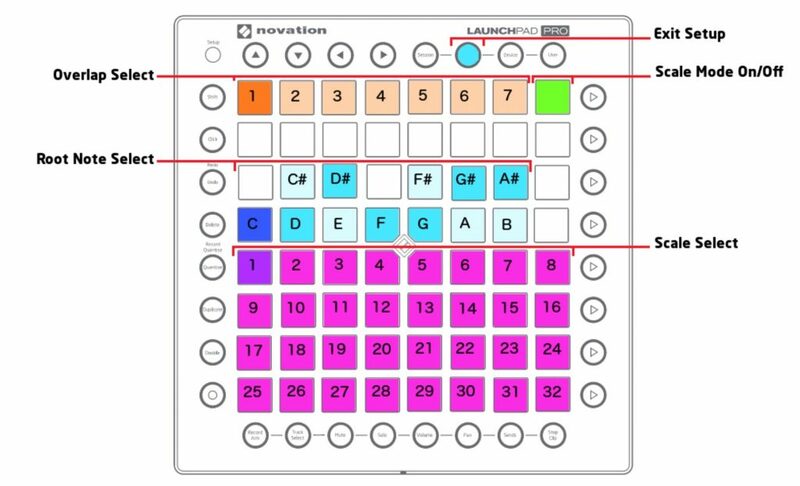 Now, Novation’s grid controller is far from the first such hardware to add the ability to map the pads to scales. Native Instruments’ Maschine (4×4) and Ableton’s Push (8×8) each have scale modes for their grids. But the Launchpad Pro has a few advantages that make its addition significant. For one, it’s pretty affordable. It has a uniquely simple layout – one that isn’t specific to a particular piece of software – and that makes getting to scale mode quick and easy. And, crucially, Launchpad Pro works standalone with MIDI gear even without a computer, so this means the same scale functionality works with all your other gear, whether the laptop is handy or not. There are some 32 scales packed into the Launchpad Pro. That includes all the so-called “church” modes (Major, Minor, Phrygian, Locrian, whatnot), though those are a bit confusingly not all in the first group. But there are also a bunch of additional scales, including the jazz “BeBop” scales (I remember practicing these at jazz camp, literally), and Ukranian and Hungarian modes, plus lots of Japanese options. There are some clever implementation details, too – which again set this apart from something like Maschine or Push in terms of getting right at playing the scales. SHIFT + NOTE enters the mode; NOTE leaves it. You can choose an OFFSET to decide how far apart each successive row is from the last. This is huge, actually, as it means there are really 7 x 32 layouts, not just 32 – you aren’t restricted to the developer’s choice as far as how the intervals are spaced vertically between rows. You choose a root note and an offset and have the layout just where you want it. Given there are lots of step sequencers and things with various quantized repeat modes out there, this makes me want to just stop complaining and embrace some human rhythms — and actually practice. So, ironically, the Launchpad with scale mode might be the thing that convinces you to play more off the grid.